A cluttered desktop is an eyesore ... that’s all there is to it. Tons of different icons clumped to the left side of the screen, widgets that may or may not work ... all of this makes dealing with our desktops pretty miserable. 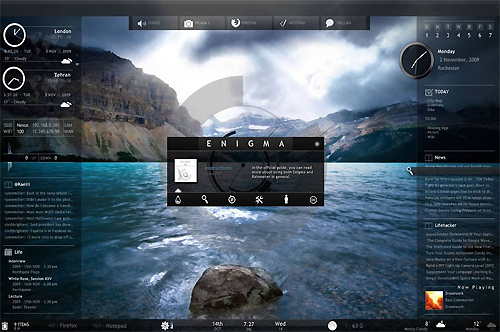 Luckily, there is an elegant desktop customization tool that can help you optimize its usage all while looking pretty! Enter: Rainmeter. It hardly takes up any disk space while it runs, so it won’t hog up your memory. You download “skins,” which change the look of your desktop as well as provide some nifty tools for you to take advantage of! Here’s a brief look at some of the program’s potential and all of the things that will really give your desktop that “wow” factor. First off, for those who aren’t as computer-savvy, all of the options that Rainmeter brings to the table may seem a tad overwhelming. This shouldn’t be a cause for worry, though -- most Rainmeter skins you download will come with a “read me” document that explains how to use it. 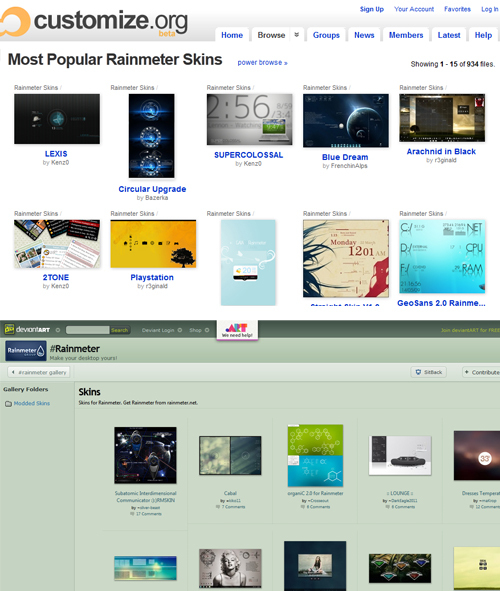 The Rainmeter site also provides some support, along with one of the most useful inventions ever: the forums. If you need any pointers, the forums will likely have an answer to any questions you may have. 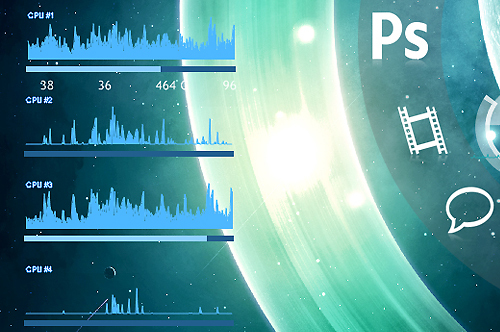 With that in mind, let’s check out some of the neat things you can do with Rainmeter! 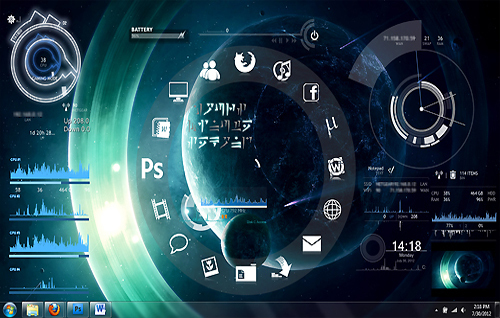 Here’s an example of a desktop loaded with some skins. There’s the ever-so-useful Circular theme that has some great icons for the most commonly used programs, among others. It all depends on what you want out of your desktop and what the tools from Rainmeter can provide for you. There are minimalist-themed skins for those who want a simple and elegant look, and there are skins with every type of gauge and monitor known to man -- again, it all depends on what you want! This is a closer look at some gadgets that you can utilize with Rainmeter skins -- here, CPU monitors are shown. Skins will very often have some type of gauge or something similar to show CPU activity. This is useful to help you pay attention to just how hard your computer is working and how much free memory you have to open more programs and run them efficiently! This will, of course, vary from computer to computer, as they all have different specs that make them act differently. Either way, some nice-looking CPU monitors are a nice skin to have! I can never tell how much battery life my computer has just from looking at the little picture in the corner of my screen, and sometimes it seems like a hassle to hover over the icon to tell. For that very reason, a battery display is a super useful thing to have in a skin. With Rainmeter, it’s all a matter of convenience (if that’s what you want). There also are some more decorative aspects of skins that you may or may not enjoy. The glowing Skyrim dragon writing isn’t really all that functional, but it sure looks good. Keep in mind that you can find skins that suit both your practical and aesthetic needs -- for example, the lovely music player at the top of the screen! You can find some really great music players that you can access straight from your desktop, without ever opening iTunes or Windows Media Player. You also can decorate your desktop with pretty clocks and great-looking icons that make everything look more put-together and streamlined. For more advanced users, you can even go in and edit the skins yourself -- whether it be changing the path an icon or button takes you to or making a new icon altogether. Most of these skins will have text within the code that will tell you what to mess with and what to leave alone so you won’t be at risk of messing up the skin altogether. The options really are endless. Don’t worry if hands-on customization like editing code isn’t your thing -- Rainmeter and the vast majority of skins are set up to be extremely user-friendly. Also, remember that there is bound to be a skin with anything you’re looking for. There are skins that can load your Facebook status, search Google right from your desktop, display an RSS feed, manage your social media ... the list could go on forever! The best way to do it is to just jump in headfirst and have fun playing around. If things don’t go well, it doesn’t take but a minute to load your old icons from the recycle bin and turn off Rainmeter -- changing things right back to the way they were. 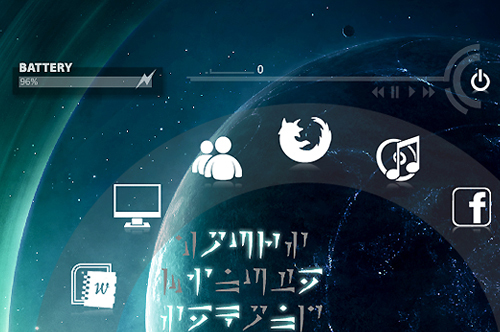 However, after you’ve seen all of the possibilities with Rainmeter, you’re never going to want to go back.